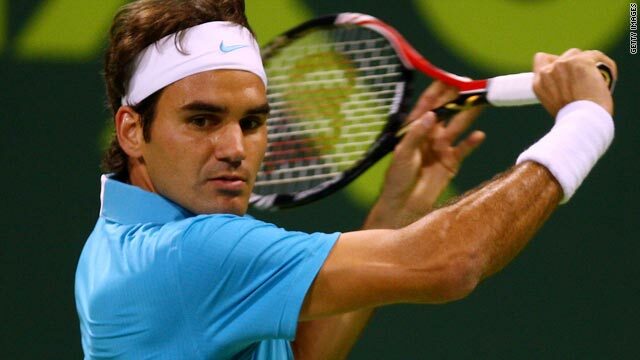 Roger Federer lost in the final of last year's Australian Open to his great rival Rafael Nadal. (CNN) -- World No. 1 Roger Federer faces a potential quarterfinal clash with Nikolay Davydenko after his recent nemesis was drawn in the same quarter of the field for the Australian Open, which starts on Monday. The Russian has beaten Swiss star Federer in his past two meetings as he has risen to sixth in the rankings, winning the 2009 season-ending ATP World Tour Finals. Last year's losing finalist Federer faces Davydenko's unseeded compatriot Igor Andreev in the first round, and could play former world No. 1 Lleyton Hewitt of Australia in the third. To get to Federer, Davydenko -- who starts against a qualifier -- may have to face last year's semifinalist Fernando Verdasco, or the Spanish ninth seed's compatriots Juan Carlos Ferrero and Carlos Moya, who are both former top-ranked players. Third seed Novak Djokovic is also in Federer's half of the draw, along with No. 8 Robin Soderling. The Serbian could face Soderling, last year's French Open finalist, in the quarterfinals before a potential semifinal with Federer. World No. 2 and defending champion Rafael Nadal heads the other half of the draw, where he could face Andy Murray in the quarterfinals. Murray has paid the price for deciding against defending his Qatar Open title earlier this month, with the Britain dropping outside the top four in the rankings. If he were to get past Nadal, Murray could possibly face a semifinal against U.S. Open champion Juan Martin Del Potro, who is fourth seed and expected to play despite pulling out of the Kooyong Classic with a wrist problem. Del Potro could play American seventh seed Andy Roddick in the last eight. Verdasco will play Frenchman Jo-Wilfried Tsonga, who is seeded 10th for the season's first Grand Slam tournament in Melbourne, in Saturday's final in the exhibition event. Meanwhile, 2006 Australian Open runner-up Marcus Baghdatis will play Richard Gasquet in the final of the Sydney International event on Saturday. Cypriot Baghdatis is aiming for his second title in three tournaments, having won the Stockholm Open at the end of last year. Frenchman Gasquet is seeking his first ATP Tour title since September 2007, having served a ban for a positive cocaine test last year which was later reduced due to mitigating circumstances.